While Paradox the publisher has expanded its reach and remit over the past decade – from the hooded spell-splashing of Magicka, through the civic-minded megalomania of Cities: Skylines, to the storytelling ‘n’ tactics of Tyranny and BattleTech – the engine at its heart has remained the same. Paradox Development Studio has resolutely ploughed a niche in real-time grand strategy for decades, and its commitment has been rewarded – first with the Crusader Kings II, and since with Europa Universalis IV and Stellaris, games which can sit alongside Cities on Paradox’s bestsellers list. 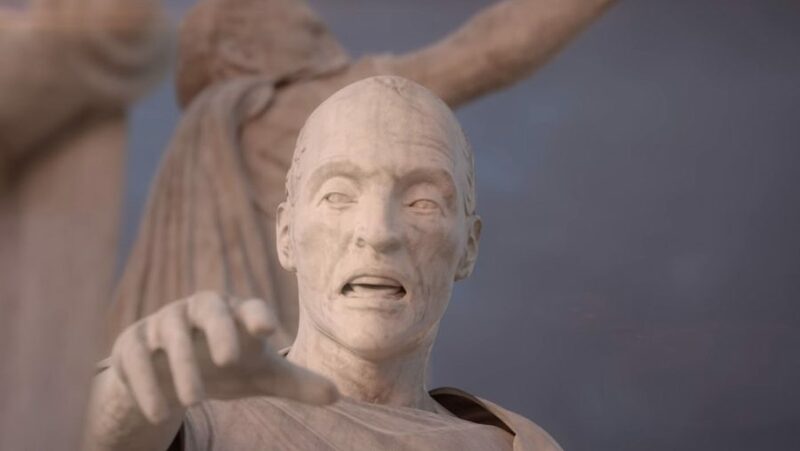 Its latest project is Imperator: Rome, and at the head of its vanguard studio manager Johan Andersson – a man who not only rocks a toga when the occasion requires it, but knows more about grand strategy than Caesar himself. We picked his brains about accessibility, the studio’s trademark stream of expansion packs, and whether there’s such a thing as a strategy game that’s too complex. Just don’t ask him whether or not he thinks his games are actually any good. 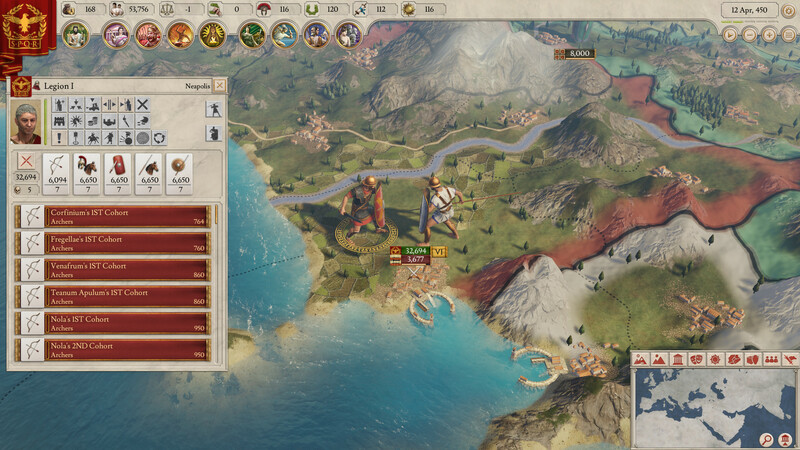 PCGamesN: What have you taken from your previous grand strategy games for Imperator: Rome? Johan Andersson: How much time do you have? It’s a lot. The basic concepts and ideas came from our previous Rome game, like the setting, having POPs, having characters, having military, and also having civil wars and barbarians. That’s what’s similar. But there are other things that we’ve learnt through the ages, like how to make a fun, progressive empire-building game – we’ve taken a lot of that from Europa Universalis. We learnt a lot of lessons from Crusaders Kings II with how to handle characters. How do we make population and politics matter and be fun? We took a lot of that from Victoria, and adapted it. And how do we make military gameplay intriguing and interesting? We looked at what was good in March of the Eagles and Hearts of Iron. Even some aspects from Stellaris, in terms of what makes people tick in games – did you look at the technology screen? I did. You’re given a menu of different inventions to buy. Yes, and when you buy one it’s randomised, so you don’t have complete control over your research. We’re trying to clarify information and serve it to the player, that’s something we also learned [from Stellaris]. So the learning curve with the new tutorial is based on our knowledge from that. 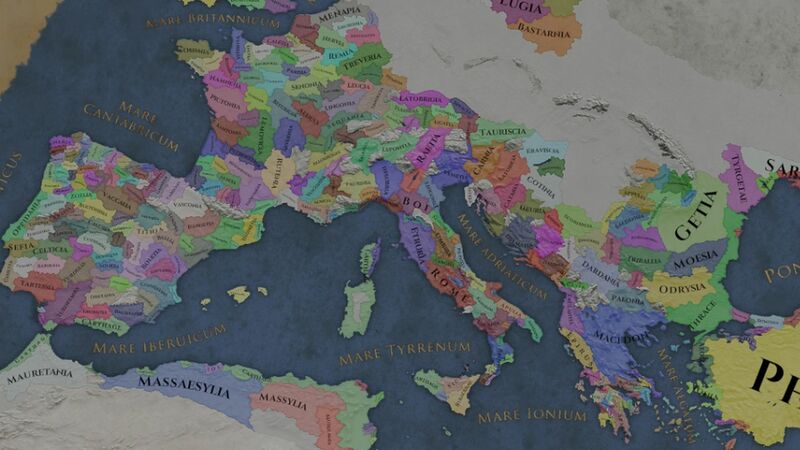 Imperator: Rome does feel a lot more accessible compared to CK2. It feels like there’s less to get to grips with, certainly in the character system? I would argue that Imperator is the deepest game we’ve made because there’s not much difference between the characters in Imperator and Crusader Kings. I didn’t see an option to marry foreign characters, though? Not in this version. There are a lot of things like that coming – we will add content. But characters already live, they breathe, they have friends, they have rivals. You could argue that the character modelling in Crusader Kings is perhaps 10-20% more than what we have here, but it’s still a deep character model. The military system is also 10-20% deeper. But here it’s different – we have lots of deep models and still have a relatively easier learning curve than the previous games. Can we expect Imperator to develop by incorporating features from other games or will it go in its own direction? I think it’s going to go in its own direction. We want to look at what the players enjoy and what they’re not happy with. We should focus on giving players what they want without limiting ourselves in the future. Stuff we did in early EU expansions, like reworking the military system and technology. Deep flavour mechanics in Crusader Kings, like the conclave and societies and so on. Those are things that are super popular with players because they give a richer experience. We want to have all the cool convenience stuff in the free updates, whereas what you pay for is more flavour and a richer experience. Could you give an example of the distinction there? Hearts of Iron had a national focus to it – big trees where you play around and have a distinct path for a country. We add new ones to the expansions, that’s the deeper flavour and things we want people to have fun with. I’m not saying we are going to have a national focus in Imperator because it doesn’t fit for multiple reasons. But we would have that type of content where we’re giving a richer experience – not adding lots of new mechanics everywhere to make the game more complex. Can you give an example of a conflict or a problem in Imperator, and outline the new ways we can solve it? Say you’re at war, and you have a large army to fight. You can make up one large army from smaller armies. With the large army, if you put one general in charge of it, that’s a risk, because while that leader is really, really good, that means there are four more regiments that can become loyal to him. If he has enough regiments loyal to him, his own loyalty will start dipping. Now the guy that wins the war for you and makes an experienced army might come back after the war with another flag and say, ‘Hey, I’m going to be the new ruler, let’s have a civil war’. If he has control over the experienced regiments which outnumber you, then you have to raise a new one and that’s a challenge. We had something similar in the Rome series but there’s nothing in our other games like this. You’ve said your philosophy is “to create believable worlds” – do you think this automatically leads to good games? It does for the type of games I like to play, but I do not want to claim that the games I like to play are good games. As a designer, you obviously have to make games that turn a profit, but you have to make a game you enjoy yourself. I think “believable worlds” is a very important description of it. I really don’t like it when I look behind the curtains and see that it’s all fake in games. I don’t want to know what happens underneath. That believability comes easier when the tutorials are as effective as they are in Imperator. Your previous games have catered to a more dedicated fanbase – are you happy to continue that approach? What are you hoping to see from Imperator? More sales? Nah. We’re working on constantly making our UX better and our tutorials, onboarding better. We have decreased the learning curve but we don’t want to ever make the games more casual. We don’t want to dumb down the games. We want to get them deeper, get them more complex, instead of just adding better UX. If we start making our games simplified then we lose our core audience. It’s not going to be fun to work on the games, because we work on the games we want to. Is there such a thing as too much depth or complexity? Yes. We’ve gone too complex and deep in some games, especially in earlier ones – where we tried to simulate the entire weather system, or have a supply system that basically loops in your supply trucks on a huge map, which is insane. I guess you just find that line through trial and error and playtesting. Is there a particular magic to it? Do you think some periods of history are intrinsically more interesting or rewarding for strategy? No. Each time period has its own interesting aspects. I would argue that World War II was probably the most interesting one. Every single country has its own interpersonal conflicts, not all of them are military conflicts. 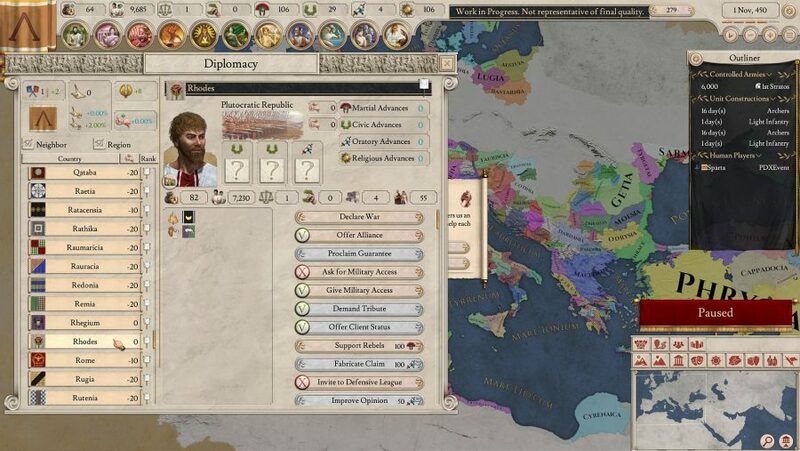 Compared to UE4 and CK2, do you have similar ambitions for Imperator or do you have a sense of how much more mature it might look towards the end? I don’t know. I just know that we’re going to make expansions for it as long as people are willing to buy it. And where does that leave support for your previous games, are you winding them down? No. We will stop making stuff when people stop buying stuff, and people are still buying more and playing more. So we’re kind of forced to work.